Conference Theme: Are you really delivering evidence based practice? Would you like to present a talk or poster at this conference? We also welcome posters on “Work in Progress” for projects that are still underway. * Word limit for the abstract (Background to and including Conclusion) is 300 words. The word count does not include abstract title, category, author names or affiliations. · * Title. If your poster represents work in progress, please add “WIP” to the title. · * Category: please state one category, selected from the list of categories above. · * Name(s) of the author(s). · * Institutional affiliation of the author(s). In case of multiple authorship, the first named author is the person presenting the talk or poster. · * Background: a brief introduction and rationale (why the project was undertaken). · * Method: an outline of the method (how the project was done). · * Results: a summary of the main results (what was found). Please note that statements to the effect that "The results will be presented and discussed" are only acceptable for Work in Progress posters. · * Discussion: an interpretation of the findings and indication of implications, e.g. for practice, research or education. · * Please indicate if you prefer to present as an oral or a poster. As space is limited, the selection of abstracts is competitive, but the SSAHPF conference committee will score abstracts anonymously and independently, and aim to ensure that the programme reflects both the conference theme and the wide-ranging interests of the Forum. Abstract submission deadline: 12 midnight, 15th April 2019. Submitting your abstract: Please email your abstract to: emmacoutts@nhs.net stating “SSAHPF abstract” in the title of your email. We look forward to receiving your abstract! 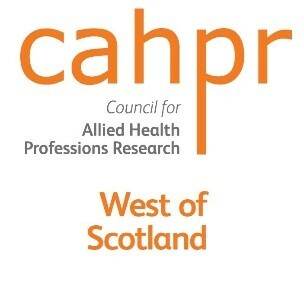 The CAHPR West of Scotland hub will relaunch on Monday 20th May 2019 in the Teaching & Learning Building, Queen Elizabeth University Hospital in Glasgow. The event is being organised jointly by the North of Scotland, South-East Scotland and West of Scotland hubs. Workshop Topics include CAHPR Top Tips, Patient Public Involvement, Accessing Support for Improvement, and Innovation and Research. Poster Abstract Submissions are invited on the theme "Impacting Practice through Innovation and Evaluation" with a deadline of 31st March 2019. Registrations for the event are now open. To register visit www.rgu.ac.uk/cahpr-registration - registration costs £25, or £20 for students. Further details are available on the attached flyer. The Comprehensive Systematic Review Training Programme (CSRTP) will run again in 2019, commencing in March and in December. Further details can be viewed on the attached flyer. For further details please contact Professor Kay Cooper at k.cooper@rgu.ac.uk or jbc@rgu.ac.uk. 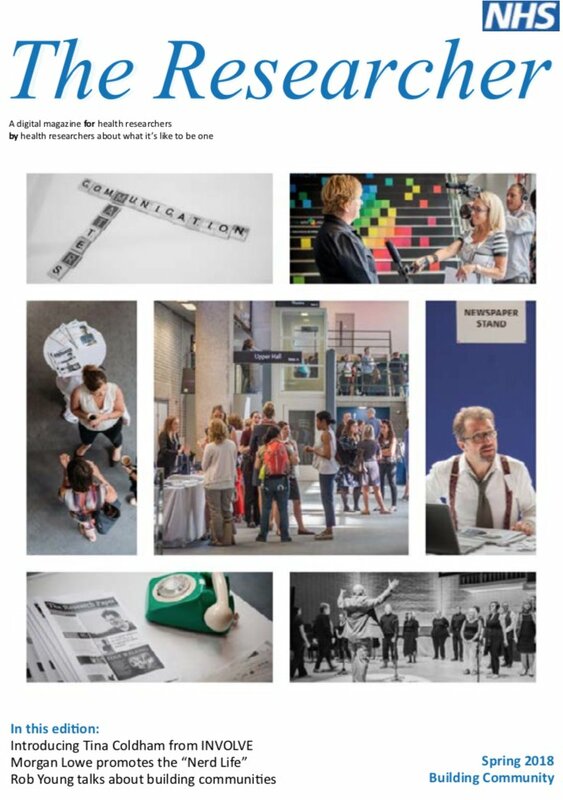 Edition 4 of "The Researcher" is available to read online here.